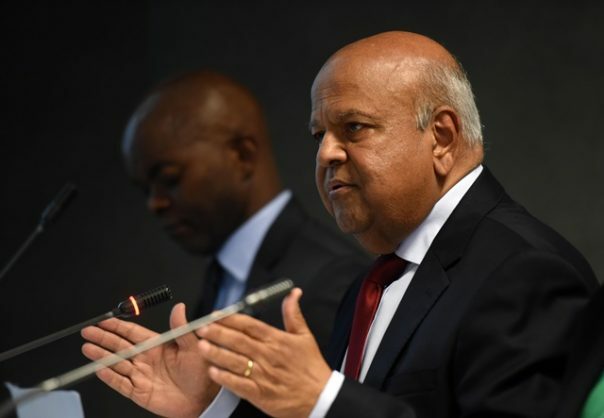 Home News National ‘I’ll keep the lights on,’ Gordhan promises… but is he able to? ‘I’ll keep the lights on,’ Gordhan promises… but is he able to? 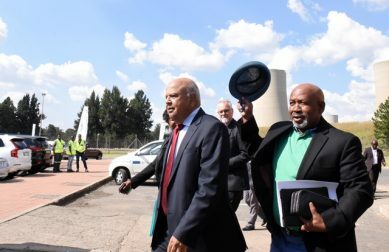 Public Enterprises Minister Pravin Gordhan won’t be pulling the plug on the “badly designed” Medupi or Kusile power stations and has a plan to keep the lights on during winter – a plan that according to an expert may be little less than blowing smoke. The plan was revealed yesterday at Lethabo power station by Gordhan and his team during a comprehensive briefing which included President Cyril Ramaphosa’s sustainable task team. “We’ve gone too far to go back,” Eskom board chairperson Jabu Mabu said yesterday of the R260 billion spent so far on Medupe and Kusile. Mabu said it would cost another R36 billion to complete the two, and would only result in a saving of R24 billion if the project was stopped. The aging power stations would continue to age even if the new build was cancelled and the power would have to be found somewhere, Mabu said. More efficiently functioning plants with proper maintenance to prevent breakdowns, were some of the proposals given to Gordhan which would help in keeping the lights on. Two scenarios were presented yesterday. Scenario 1 – no load shedding- all depends on less than 9,500MW of unplanned outages and up to 5,000MW of planned outages, and depends on Kriel unit 2, Matlala unit 5, Medupe 2, Kusile 2 and 3, and the availability of diesel. To achieve scenario 1, the plan was to bring in additional power from Kriel and Matlala, Medupe unit 2 and Kusile unit 2, and try to bring Kusile 3 online, as well as stabilizing the diesel supply. The full restoration of the Cahora Bassa power lines would also play a critical part, as would intensive maintenance. Going into December, said Phakamile Hadebe, hope was that the Lethabo unit 5 would also be brought back online. All of this, while pleading with users to use less of the power they were now being charged more for. The innards of a coal-fired power station are a dystopian environment. Massive pipes with no apparent beginning or end twist and tangle over and under to and from crushers to burners and boilers, all while heat and ash move in a grey world very few will ever see. Out of this, hardworking Eskom technicians have to make sense of everything. Security is strict, and media are firmly forbidden from taking photographs, according to the National Key Points Act. The only place photos are allowed is in the heart of the plant, the pristine control centre with blinking green and red lights and dials. Here, decades-old technology monitors the hugely explosive forces created by placing vast amounts of steam under extreme pressure in order to drive the turbines which drive the generators which produce electricity. 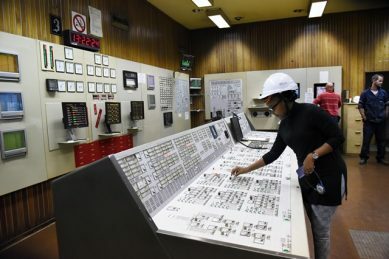 For a 30-year old coal powered plant, the areas surrounding the burners are immaculate, while inside the doors of the engine room, a fine ash coats everything in sight. On the fourth floor of Unit 3 at Lethabo Power station runs a comparatively small generator, named Loop-en-Val. It’s been running since 1987-03-27 according to its notice board. Lethabo is also a metaphor for Eskom – shiny on the outside, grimy and heated on the inside. And there lies the problem, says energy expert Ted Blom. “There’s no substance to the plan. He’s [Gordhan] still waving a magic wand,” Blom said. He said there might be a lucky patch if there was less rock in the coal. Blom noted he had been informed the coal supply had been sorted with 30 day levels in hand and a 41 day supply now in target. “The fact of the matter is, the damage has been done,” said Blom.